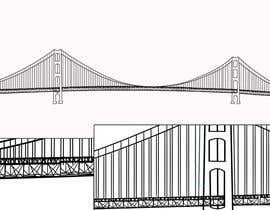 Detailed drawing of this bridge and photo of lady cropped. I want a detailed drawing done of this bridge (shown without sunset) but I want it in a different angle as shown in the photo with the purple sunset. I just want the bridge. No sunset. 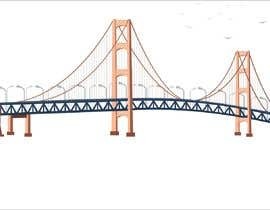 You can Google Mackinac Bridge Up Close to see other detailed images. I need this in vector and PSD files. Also, I need this woman cut out of the background she’s in so I can use her in a different background. 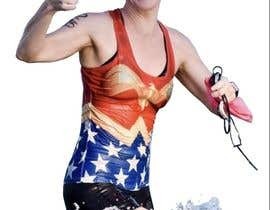 I want the water splashes around her legs included in that image. Can you please attach any quality reference. Also PSD and Vector both are different things. Photoshop is used for drawing. So please show some example so that I can see what exactly is your requirement.